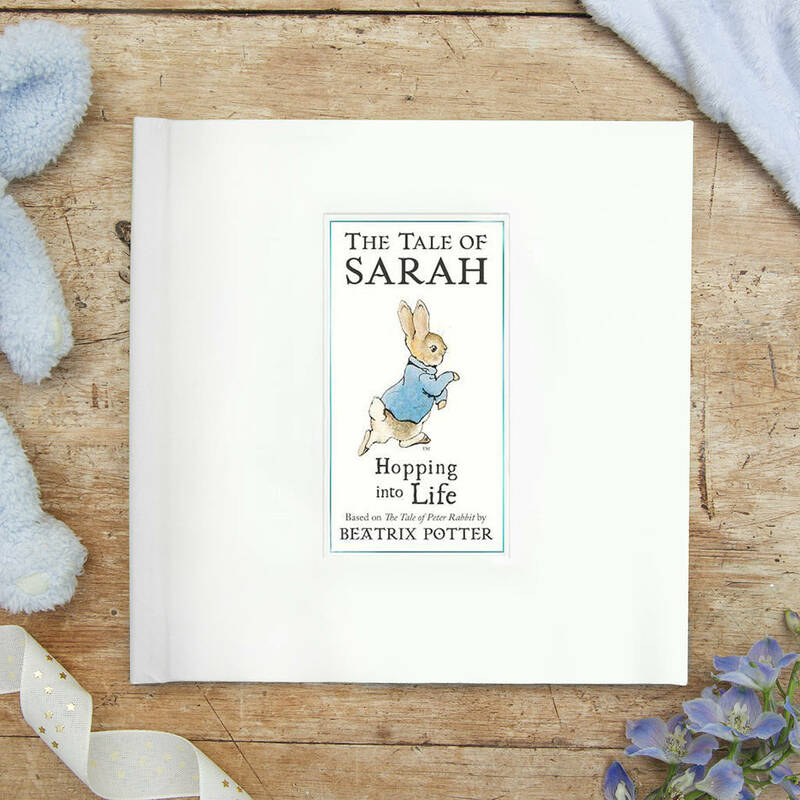 Your child becomes part of the story in this personalised version of Beatrix Potter's most famous creation, Peter Rabbit. 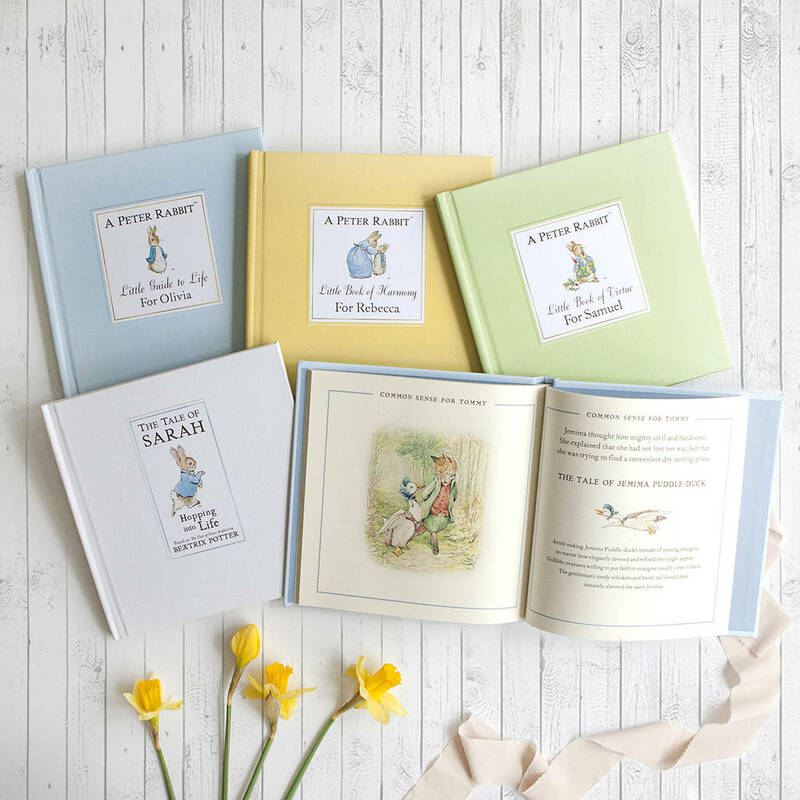 Childhood memories are often associated with Beatrix Potter's delightful tales, and now these can be passed to the next generation. 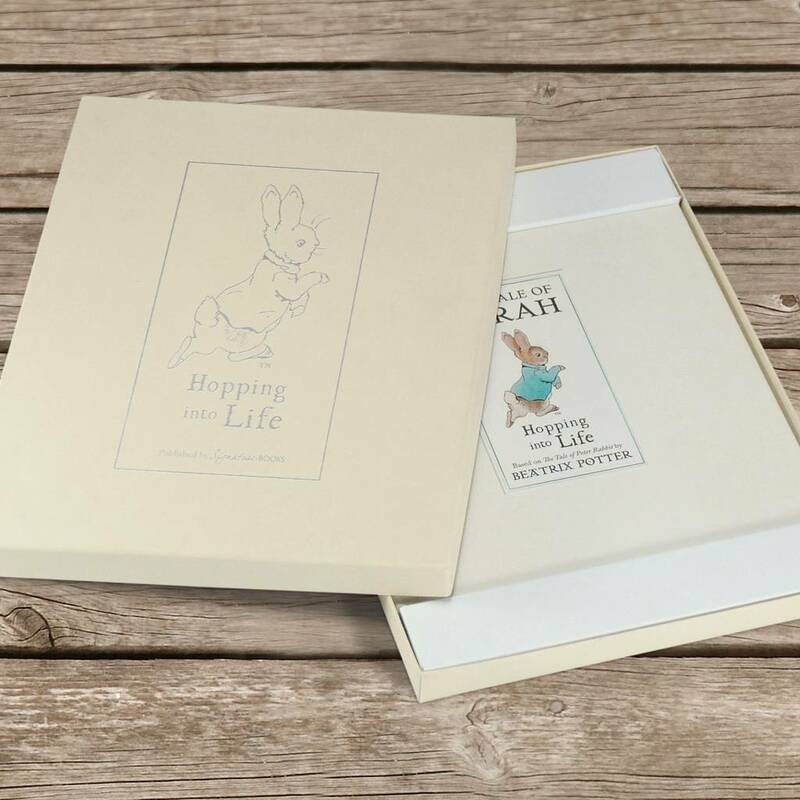 Presented in a cream gift box, this delightful book is perfect for a little bunny who's just hopping into life. 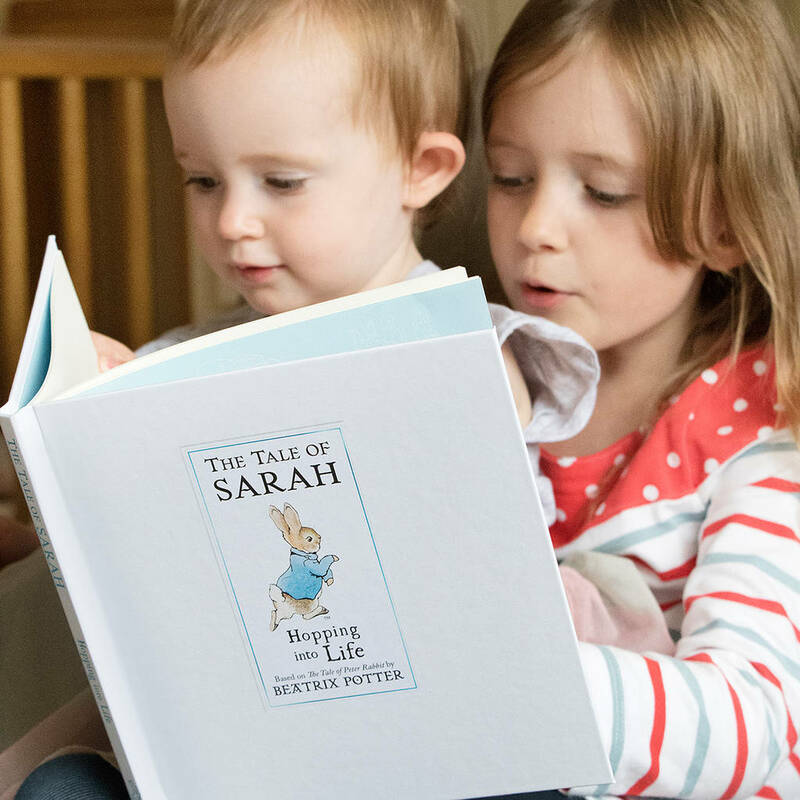 Officially licensed by Penguin publishers, each page includes original illustrations by Beatrix Potter, and your chosen name appears throughout the charming text, making your child part of the story. 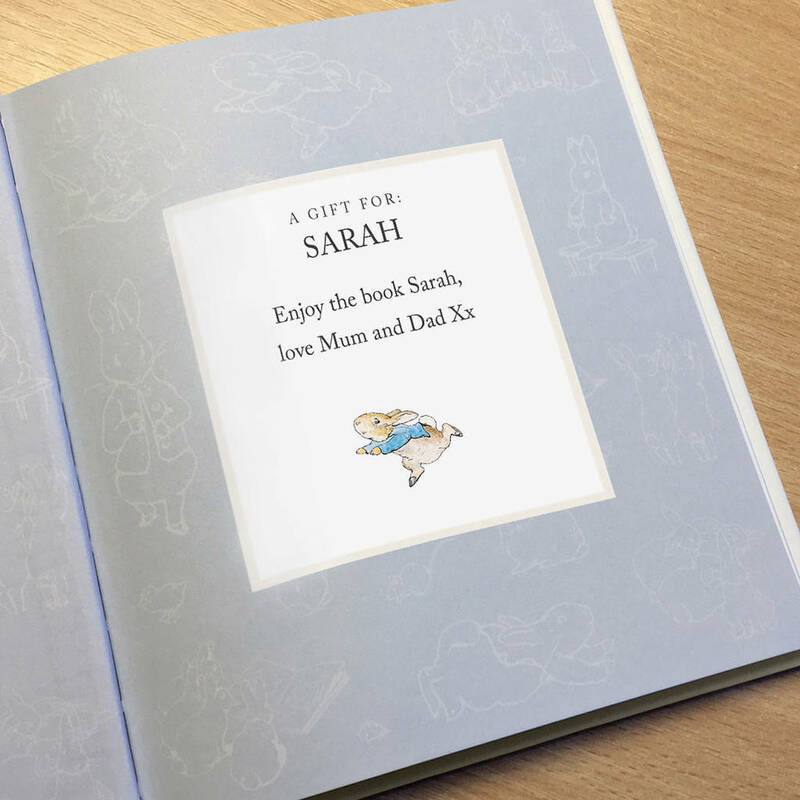 Your message to the recipient is included on the opening page, and their name is also on the cover. 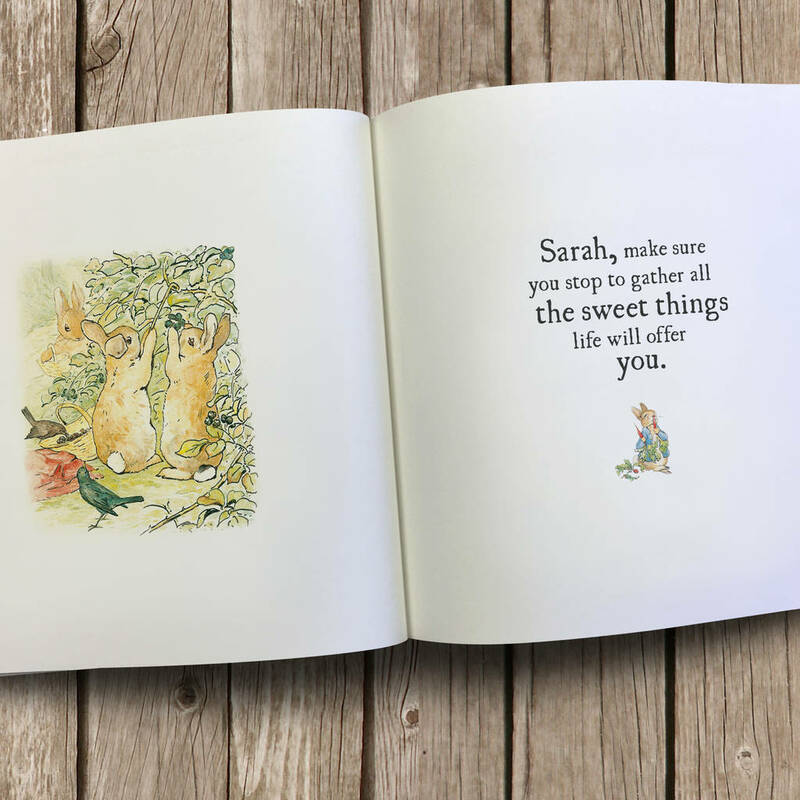 Maximum characters is as follows; name 12 characters, message line 1 and 2 is 40 characters each. 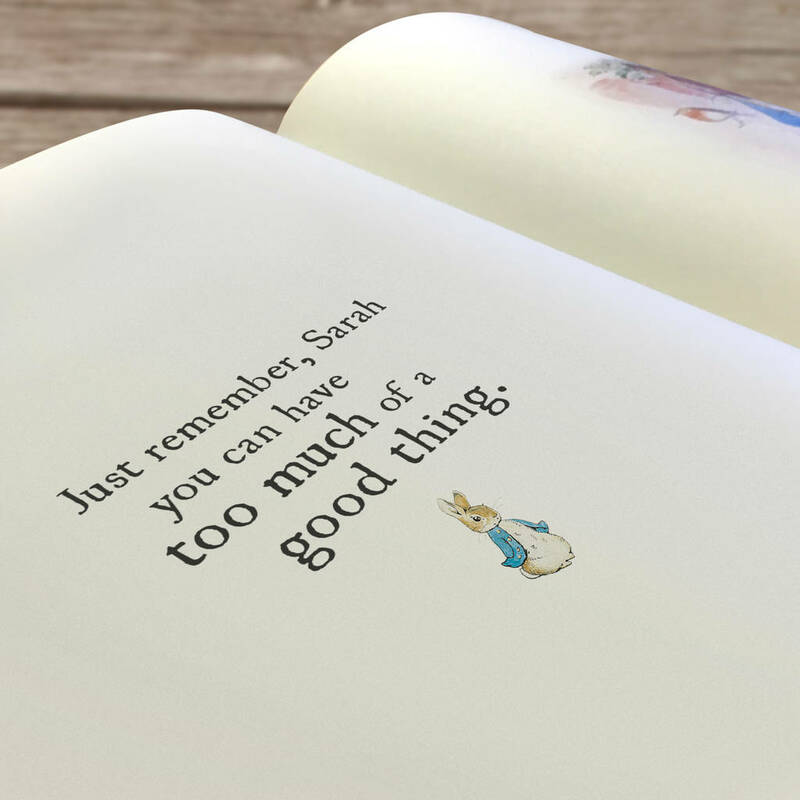 Please note that the 'For' printed before the name on the front cover is fixed so you do not need to include this.